What makes a company successful? Its people? Its profits? Its impact? 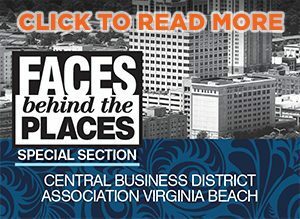 We consider it a combination of these factors, and we’re fortunate to have many successful businesses here in Coastal Virginia that put our region on the map economically, make our communities more dynamic and set the precedent of what the future of business will look like for our region. With these awards, we highlight the services that companies use and trust to perform their day-to-day operations, the businesses that are excelling in their industries, the venues and events that make meetings and networking effective, the top professional development programs for taking careers to the next level and the individuals exuding professionalism, innovation and influence throughout their companies and communities. The BOB Awards Voting period has ended. Winners will be published in the October/November 2018 Issue of CoVa Biz Magazine.